Produced by Rowan University students Jennifer O’Donnell, Michael Stoever, and Blake Doughty, the program details the issues that children have when diagnosed with autism and how it potentially affects millions people around the world. 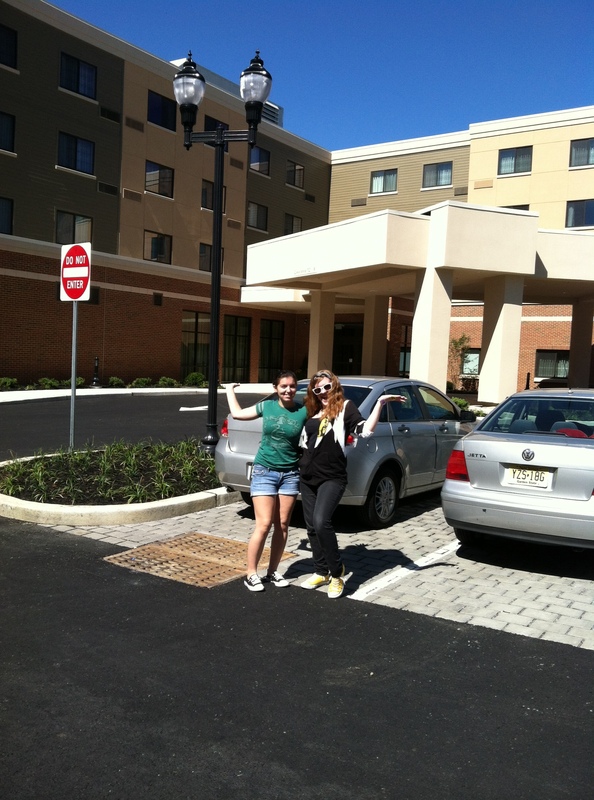 WGLS-FM Co-Operations Manager Ellen Hardy and Promotions Director Gianna Gugliuzza outside Courtyard Marriott in Glassboro. WGLS-FM Co-Operations Manager Ellen Hardy, Promotions Director Gianna Gugliuzza, and Alyssa Sansone adventured over to the new Courtyard Marriott last week. The new hotel is on campus located next to the Whitney Center on 322. The hotel features an indoor gym, an indoor pool and hot tub, free wifi, and even a Starbucks. Coming up tonight at 5:30 p.m. on Your Health Matters with host Dr. Craig Wax, guest Jack Glass, head of Environmental Health and Safety at Rowan University, talks about environmental health. Glass discusses what environmental health is, why mold is not necessarily a problem and current issues in the environmental health world. Imagine your kids being kidnapped and taken to another country half way across the world…by their mother. On this week’s Father’s Day edition of The Women’s Room, Gina Lemanowicz sits down with Scott Lesnick as he recounts this true and terrifying tale that unfolds in his book, “Kidjacked: A Father’s Story.” For more information visit www.scottlesnick.com. Check it out on 89.7 tonight at 5 p.m. or online at wgls.rowan.edu. Tune in tonight at 5 p.m. as Student Manager Waldy Diez, Ellen Hardy, Melissa Friend, Lauren Volpone, and the Rowan Radio News Team will discuss the Senate’s immigration reform bill clearing an important hurdle, local, state, and federal authorities still investigating a bomb threat at New Jersey’s Princeton University, and President Obama marking the 50th anniversary of the Equal Pay Act.